​Our new contributor this month is book reviewer Darlene Ramirez. And of course we also have contributions from old favourites Kyrian Lyndon, James Gault, John Dill, Cherise Castle-Blugh, Rob Burton and poets Zaheera Shaik Alli and Richard O’Reilly. In the News Section we update you on the latest award winning books and we interview author Richard Savin. Kyrian explains the value of sensitivity for an author, Cherise writes about good customer service, and John describes the philosophy behind his sci-fi series the Braxin King. Our satirical piece this month looks at the question of immigration . In the Features Section we have an extract from Kyrian's novel SHATTERING TRUTHS, Rob describes a trip to South Africa and John interviews a 24th century scientist who explains how the world became more of a mess (it's bad enough in the 21st century, is it not?) . Our Poetry Page has more poems from Zaheera and Richard. The Writers’ Notes section looks at the way an author can give the reader a clear sense of the place where the action of a story unfolds. 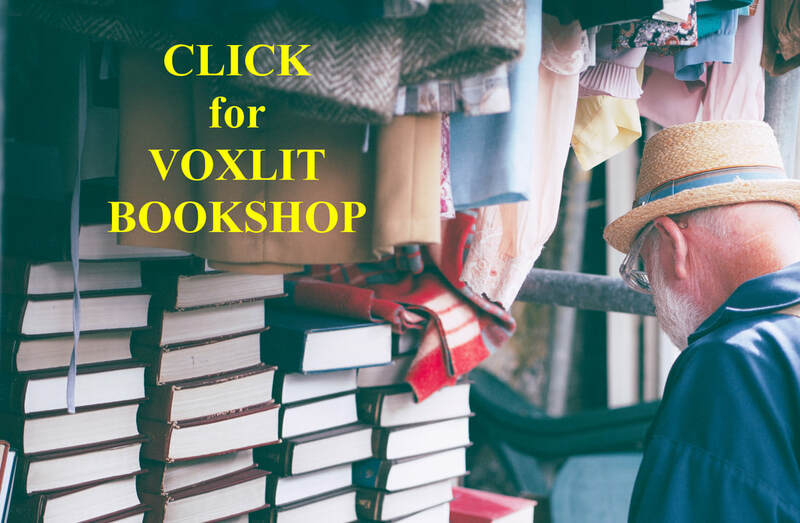 Finally, do check out the Contributors' section and Contributors’ Bookshop where you’ll find links to their books, their Author pages and web sites. After Gulliver left to return home, the economic and political situation in the small kingdom of Lilliput went from strength to strength. They formed an association with their neighbours in the archipelago, travel and trade between the various members grew, and standards of living soared. It was a golden age of happiness and contentment for all these little people and their larger neighbours in Brobdingnag and the other islands. The same could not be said for Gulliver’s native land. They too tried to form coalitions with their neighbours, but only with limited success. Such arrangements as were concluded were at best temporary, plagued with squabbles and disagreements that led to their downfall. The people of Gulliver’s native land, I believe it was called England, were perhaps too full of their own self-importance ever to live comfortably in perfect peace with other countries. The result of their misplaced arrogance was predictable (except of course to themselves). As time went on, the standard of life decayed until they were well and truly one of the poorest nations in the world. Everyone wants to escape poverty, and Lilliput’s problem was that Gulliver’s Travels had received tumultuous acclaim throughout his native land. So, when it finally dawned on the little Englanders that they had perhaps overestimated their importance and abilities, and that their best bet was to get out and find somewhere more prosperous, Lilliput was the first place that sprung to mind. Unscrupulous criminals bought up unused fishing boats, (there were no fish left), filled them with desperate emigrants and pushed them off in the general direction of the Lilliputian archipelago. The first landing place on the route of these desperate migrants was Lilliput, and they filed off their boats in thousands, filling up all available space to the dismay of the appalled residents. One Gulliver was a curiosity; multitudes of them were a disaster. But not to worry! Lilliput was a part of a close-knit union of countries ready to come to the help of others in times of great problems. Solidarity would prevail, wouldn’t it? Well, in a word, no! We’re nearly half way through the year, and the 2018 literary prizes are starting to come through. We’ve searched the web to bring you some of the winners. Preti Taneja’s thrilling epic, We That Are Young, wins. A spellbinding novel of family, power, corruption and desire, We That Are Young breathtakingly re-imagines Shakespeare’s King Lear for present-day India. Told through multiple voices and spanning the country from the urban sprawl of New Delhi to the fractured Kashmiri city of Srinagar, it’s an extraordinary, intoxicating debut from a brilliant new voice in British fiction. Winner: Cover of Less by Andrew Sean Greer is a satirical literary novel that follows Arthur Less, a man who has run away from his problems – and into more problems abroad. This novel, which the New York Times called “bedazzling, bewitching and be-wonderful” mocks the cliché of the American abroad while also talking about finding a first love late in life. Overall Winner: Eleanor Oliphant is Completely Fine by Gail Honeyman. Eleanor Oliphant has learned how to survive - but not how to live. She leads a simple life. She wears the same clothes to work every day, eats the same meal deal for lunch every day and buys the same two bottles of vodka to drink every weekend. Eleanor Oliphant is happy. Nothing is missing from her carefully timetabled life. Except, sometimes, everything. Winner: Home Fire by Kamila Shamsie. Isma is free. After years spent raising her twin siblings in the wake of their mother's death, she is finally studying in America, resuming a dream long deferred. But she can't stop worrying about Aneeka, her beautiful, headstrong sister back in London - or their brother, Parvaiz, who's disappeared in pursuit of his own dream: to prove himself to the dark legacy of the jihadist father he never knew. Winner: After the Fire by Will Hill. Father John controls everything inside The Fence. And Father John likes rules. Especially about never talking to Outsiders. Because Father John knows the truth. He knows what is right, and what is wrong. He knows what is coming. But Moonbeam is starting to see the lies behind Father John's words. She wants him to be found out. What if the only way out of the darkness is to light a fire? Contributed by James Gault. With thanks to Waterstones bookshops and other sources. It’s that time of the year when you get that ambiguous holiday feeling. The weight of work is pressing down harder but at the same time the dark doors of the factory or office begin to creep ajar and offer a tantalising glimpse of freedom to come. You’ll need air tickets, hotel bookings, holiday insurance, sun cream and beachwear. Oh, and a book or two! But where to find them? Why not turn to our BOOKSHOP page and check out the recent works of our contributors? In between working hard all year doing research and writing articles to keep you in touch with the world of books, they have been bent over their computers producing entertainment for your lazy summer days and now is the time to benefit from the fruits of their labours.